HHome appliance and furniture retailer Courts Asia reported on Saturday a fiscal third-quarter net loss of S$171,000, swinging from a year-earlier net profit of S$3.51 million, amid a drop in service charge income. Revenue from sales of goods and other services for the quarter ended 31 December was S$160.66 million, down 2.5 percent on-year, while revenue from service charge income was S$14.64 million, down 33.7 percent on-year, it said in a filing to SGX on Saturday. 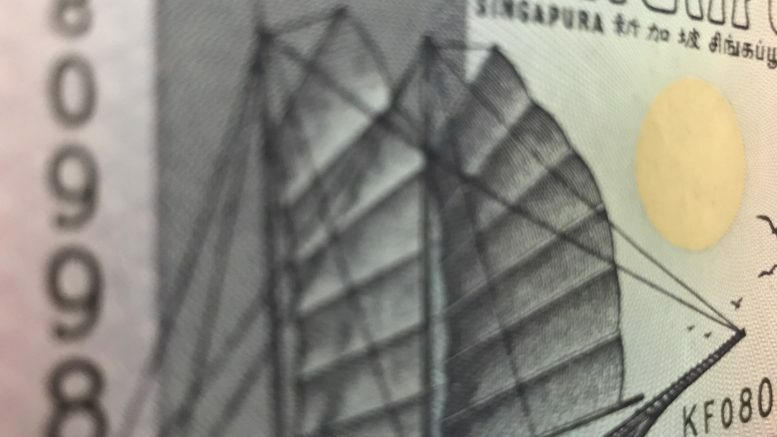 Singapore revenue, which contributed 76.2 percent of the company’s revenue in the quarter, dropped 0.7 percent on-year, on lower earned service charge income, while its “like-for-like” sales, which includes net merchandise sales and current-year service charge income for stores also operating in the entire year-ago period, rose 4.5 percent on-year in the quarter. Courts Asia pointed to declines in sales of computer and telecommunications equipment, partly due to high sales in November 2017, when there were several major mobile phone launches, as well as lower sales of new iPhone models this year. In its outlook, it said slowing economic growth in the city-state as well as the U.S.-China trade war have left the Singapore market expecting slower growth and rising inflation. Malaysia revenue, which was 20.4 percent of the company’s revenue for the quarter, fell 21.3 percent in Singapore dollar terms and declined 22.2 percent in ringgit terms in the quarter, mainly on lower service charge income and lower sales of goods and other services, Courts Asia said. The service charge income in Malaysia was hurt by the introduction of the Consumer Protection (Credit Sale) Regulations (CPAA) at the beginning of 2018, while the decline of sales of goods and other services was mainly on the closure of non-performing stores, it said. The CPAA imposes an interest rate cap of 15 percent per annum for credit and limits late payment charges to 5 percent a year. Indonesian revenue, which contributed 3.4 percent of the total, fell 13.6 percent in Singapore dollar terms and declined 7.3 percent in rupiah terms, Courts Asia said. “In rupiah currency, the decrease in revenue was mainly due to lower earned service charge income and infocomm sales offset by higher furniture and electrical sales. Lower earned service charge income and infocomm sales was mainly due to the tightening of credit sanctioning to manage credit cost,” the company said. Indonesia’s economy is slowing amid softer household consumption in the third quarter, Courts Asia said in its outlook. It noted that it closed one location in Indonesia in January as it wasn’t historically profitable, and acquired the building housing another location as part of its restructuring of its store formats in the country. “No new stores have been opened in the last nine months as the group has taken the decision to consolidate its position in the market,” it said. “Amidst a challenging collections environment, the group continues to manage credit costs while strengthening its risk management frameworks. This include tightening credit sanctioning and exploring fintech solutions to give an added dimension to credit scoring and improve the credit approval decision-making process,” it said. For the nine-month period, it reported a net loss of S$5.45 million, swinging from a year-earlier net profit of S$11.07 million. It reported nine-month revenue from sales of goods and other services of S$473.34 million, down 1.9 percent on-year and revenue from service charge income of S$46.88 million, down 30.6 percent on-year. In mid-January, Courts Asia received a takeover bid from Nojima Asia Pacific, a subsidiary of Nojima Corp., for S$0.205 a share.